When it comes to fire safety there can be no compromise, especially when it comes to buildings that house hundreds of people on a daily basis. With the safety of millions of people around Europe in mind, fire regulations are changing, and European Springs & Pressings are helping to improve fire safety in buildings around the continent. In this article, we will discuss why fire regulations are changing and how the team here at European Springs & Pressings are helping to guarantee the safety of millions of people. We will place focus on how the smaller more intricate building components can often be overlooked and cause huge issues in emergency situations. For example, using plastic cable ties in buildings would appear to have insignificant safety implications; in reality, their use has proved to be fatal in the past. Why Are Building Fire Safety Regulations Changing? Wiring Regulations for fire resistant cable supports have finally changed in late 2018, and whilst this may sound like a relatively small change, past events suggest that cable supports can be extremely troublesome in the event of a fire. 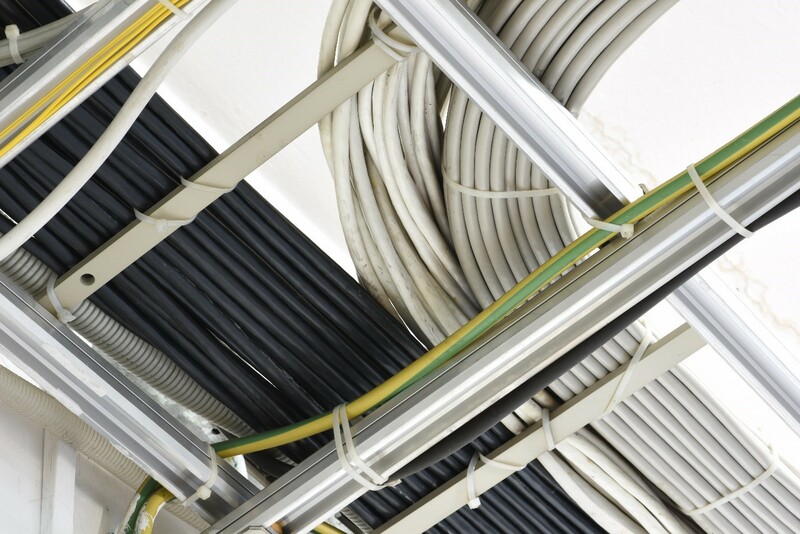 Under the previous regulations cabling in buildings throughout the EU had been kept in place through the use of plastic fixings and non-metallic cable ties. The use of these particular types of fixing had presented potential fire risks because of their liability to prematurely collapse in extreme heat. The proposed changes to the 18th Edition of the Wiring Regulations states that: “Wiring systems shall be supported such that they will not be liable to premature collapse in the event of a fire’ (clause 521.10.202)”. The new regulations have been put in place in light of an incident in 2005, where two firefighters sadly lost their lives whilst at the scene of a fire in a block of flats in Stevenage. A subsequent inquiry found that whilst there were several factors contributing to the death, one of the firefighters became entangled in electrical cabling that had fallen because the plastic cable trucking had melted. This revelation resulted in action being taken, and now the new regulations state that all cables must be fixed by metal fixings to trunking. Some may argue this change in regulations has come far too late, a whole 13 years after the initial event that sparked debate about the use of flammable materials being used to house cables. The use of metal fixings which are capable of withstanding a considerable amount of heat will play a key role in fire safety right across Europe. The new rules also state that all cables and associated trunking must be securely attached to a suitable fire-resistant part, especially when cabling is near escape routes and exits. How European Springs Have Been Helping? With the regulations now in full effect, European Springs have been tasked with creating a huge amount of metal fixings and parts for a client, to ensure that buildings around Europe are compliant with the changes in legislation. 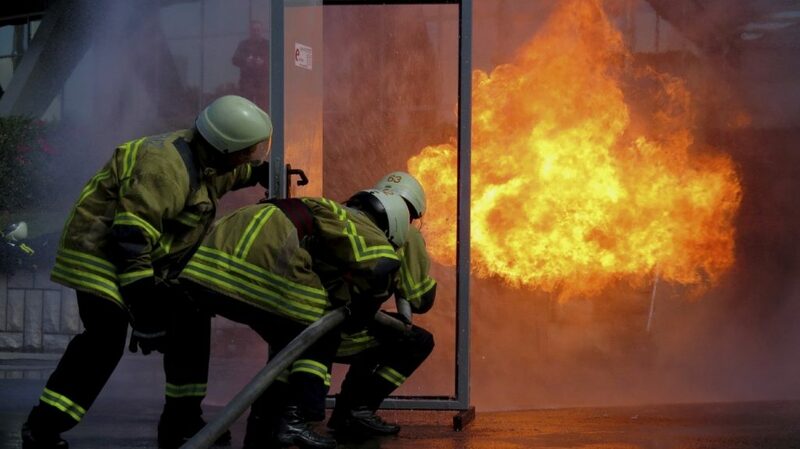 Each fixing we have manufactured must be able to maintain its function for up to 120 minutes in the event of a fire to allow all emergency exits to be clear for both occupants of the building and emergency services. Throughout 2018, we supplied several million bespoke parts to our client, who deals with safe fittings for buildings. As part of our design process, we spent time to ensure that the fittings we were providing were completely safe to use in the building. Many of our fixings are already being utilised in buildings across the continent and helping to protect the lives of millions of people. Here at European Springs, we take great pride in being a leading bespoke pressings and spring manufacturer in the UK. Seeing our metal fixings used in buildings right across Europe, helping to ensure the safety of people around the continent, is fantastically satisfying and we look forward to manufacturing many more of our fixings in the coming months and years.